What is it about a candle lit dinner that makes it such a staple of a romantic evening? Why does a meal play such an important part in both courtship and the renewal of romantic bonds? Going out for a meal is more than just a nice way to spend the evening. It is a measure of your level of civilisation. An indicator of how well socialised you are. There is a certain formality involved in the occasion. A demand on your behaviour. The wait for the meal is often more important than the meal itself as you must demonstrate your grade of civilisation. The higher the grade, the more attractive you are! 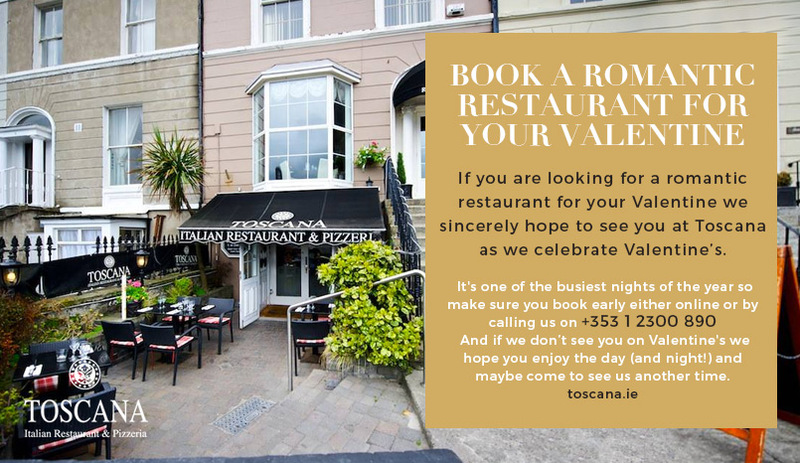 Whether you are courting or reinforcing your romantic bond we hope that you will consider Toscana as the place to do it in. 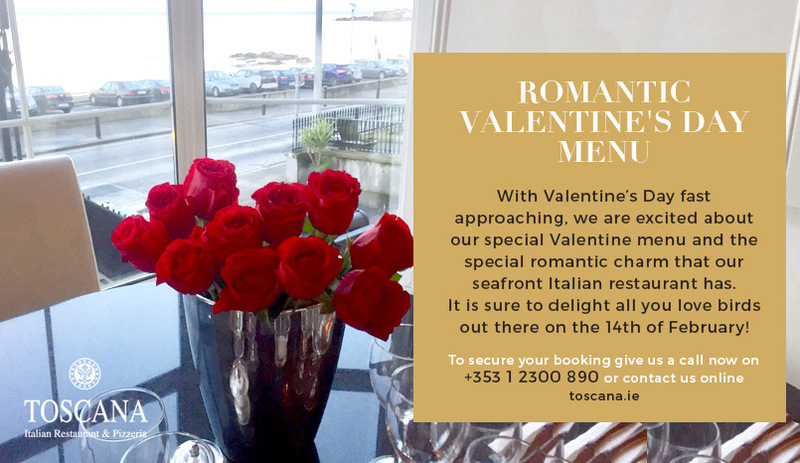 Not only do we offer a special Valentine menu, we are situated by the sea and, as anyone who has enjoyed it will tell you, a candle lit dinner with the sea surging in the background is an incredibly romantic experience. Indeed, many a marriage proposal has been made in our restaurant over the years as it offers such an ideal atmosphere for it. The upstairs seat is particularly sought after for Valentine’s. Our Valentine’s Day special menu offers a range of culinary pleasures for both love birds and long-time partners. For starters, how about some chicken wings marinated in fresh Italian herbs and spices and topped with a mild chilli sauce? Or perhaps our Funghi all Aglio: mushrooms sautéed with garlic, fresh cream and garden herbs? For mains why not try our whole, fresh, wild rainbow trout with crisp coat of roasted almonds? Or maybe go for our Spaghetti all Carbonara: a traditional pancetta, egg and ground black pepper in a creamy white wine sauce. Fancy some pasta? Try our rigatoni pasta with fresh Irish venison strips, infused with red wine ragu reduction. These are just some of the items on offer not to mention our authentic Italian pizzas and vegan friendly Italian food. 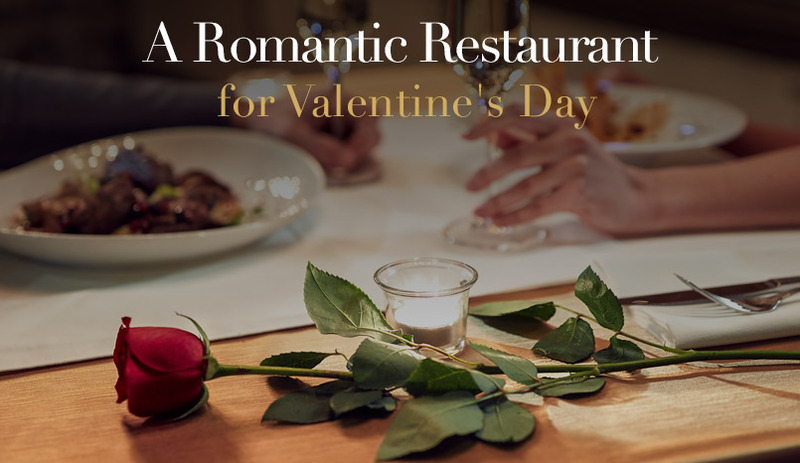 If you are looking for a romantic restaurant for your Valentine we sincerely hope to see you at Toscana as we celebrate Valentine’s. It’s one of the busiest nights of the year so make sure you book early online or by calling us on +353 1 2300 890. And if we don’t see you on Valentine’s we hope you enjoy the day (and night!) and maybe come to see us another time.